Guillemain’s 1743 collection of Sonates en quatuors ou conversations galantes. Quartets? Haydn didn’t begin composing quartets much before the 1760s. Guillemain? He was a successful French violinist, the last in a line of Parisian composers to write Italianate Baroque/pre-Classical chamber music in four parts, beginning with Antoine Charpentier (mid-1680s) and including François Couperin and Jean Baptiste Quentin. Couperin’s four-part sonades – composed in the 1690s and published as Les Nations in 1726 – have been recorded many times, yet this is our first taste of Quentin. Why have we not heard this music before? Well you may ask. Both Quentin and Guillemain were highly regarded in their day, and perhaps now their moment has finally come. The first recording of Guillemain’s quartet sonatas, made by the Ensemble Barockin’, appeared last year (Raumklang). Both Quentin and Guillemain were professional violinists, one at the Paris Opéra, the other at the court of Louis XV, yet in their sonates à quatre parties they give the first of the upper parts to a flute, the second to a violin. By French tradition – and in Telemann’s 12 ‘Paris Quartets’ (1730, 1738) – the third was allocated to a bass viol rather than a quinte (viola), the fourth to a cello and/or harpsichord. Not quite string quartets as we know them, and unlike the earliest, all three upper parts engage here in ‘conversation’. Quentin’s (after 1729, 1740) appeared in print at much the same time as Telemann’s, and Guillemain’s slightly later (1743, 1756). 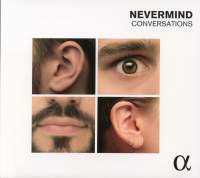 Nevermind’s CD begins and ends with movements from Quentin’s delightful Op 12 Concerto à quatre parties that charmingly illustrate conversational rapport. Stylistically, Quentin’s music has much in common with that of his Italianate contemporary JeanMarie Leclair. Listeners please note that the Op 10 (No 5) Sonata is in three parts only and dominated by the flute. Rameau’s Pièces de clavecin en concerts (1741), though the harpsichord is less prominent here, taking only one line rather than two. The Larghetto is leisurely and atmospheric; the Allegro finale stormy. The opening Allegro of the second sonata (1756) is also turbulent – more Sturm und Drang – while the Aria gratioso reverts to conversation with a lovely filigree realisation of the bass from Jean Rondeau. Indeed, the playing throughout the disc is first rate, and in Guillemain Nevermind pip Ensemble Barockin’ at the post.